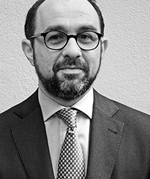 Full professor of European Union Law at the University of Genoa, where he teaches also International and European Law of the Sea, he is a partner at Studio Legale Afferni Crispo & C.
Prof. Dr. Andree Kirchner, LL.M. Prof. Dr. Kirchner is Founding Director of the Institute for the Law of the Sea and International Marine Environmental Law (ISRIM), particularly for aspects in international law. 2000-2007 as Resource Person at the UNEP/UNESCO/BMU International Postgraduate Training Programme on Environmental Management for Developing and Emerging Countries at the Centre for International Postgraduate Studies on Environmental Management(CIPSEM) of the Technical University Dresden. 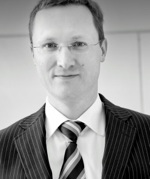 Moreover, he is member of the law firm MLS Legal GmbH – Rechtsanwalts- und Fachanwaltsgesellschaft in Bremen/Berlin. 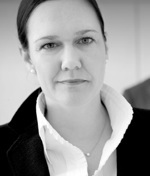 Prof. Dr. Iris Kirchner-Freis is Director of the Institute for the Law of the Sea and International Marine Environmental Law (ISRIM), particularly for aspects in EU law. She is a professor at Bremen University. She is also a guest lecturer at the Jacobs University Bremen and at the University of Applied Sciences Bremerhaven. Prof. Dr. Vasco Becker-Weinberg, LL.M. Prof. Frank Reininghaus, M.Eng., M.P.S.